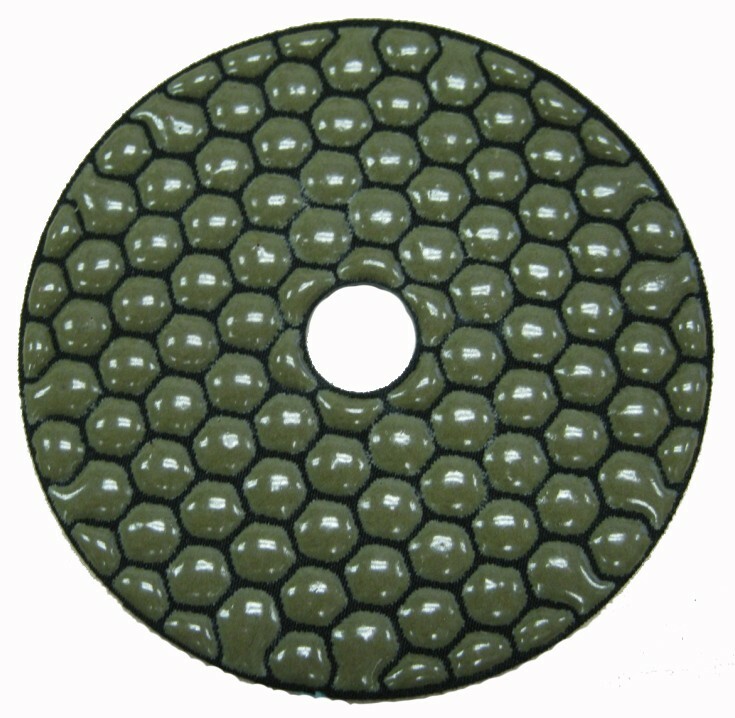 4" Dry Polishing Pad 3000 grit with velcro backing. 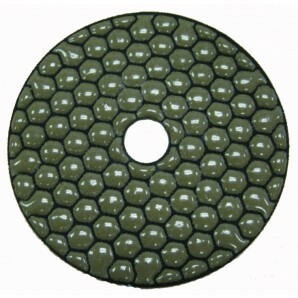 4 inch Diamond Polishing Pad for polishing cured concrete, marble and granite. 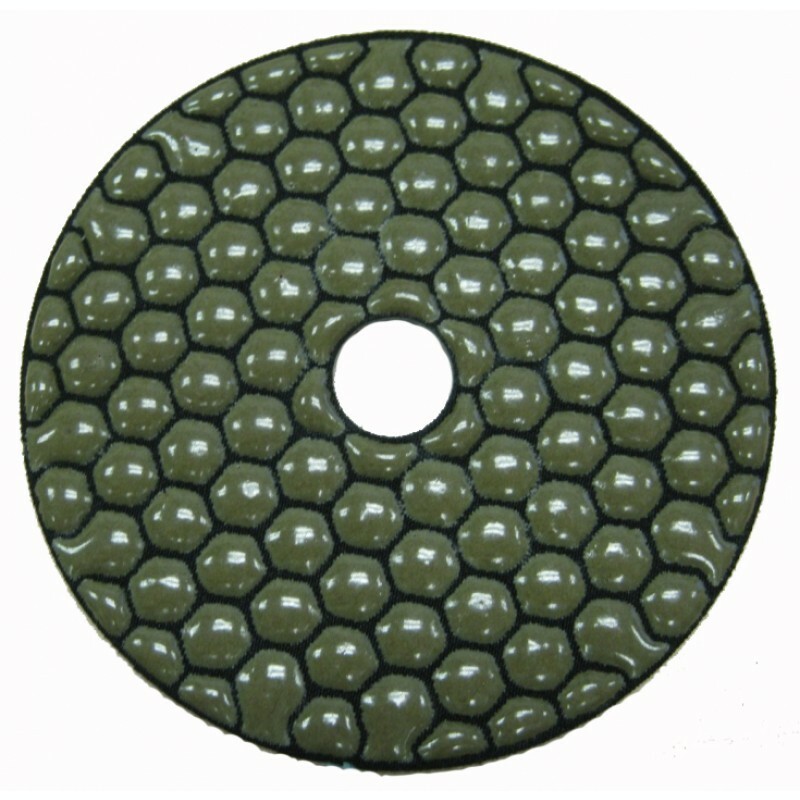 Dry use with angle grinders.